With Rob Cowan. Including My Favourite Handel Concerti Grossi, Op 6; Music in Time: Bartok; Artist of the Week: Suk Trio, featured in Dvorak's Piano Trio No 3 in F minor. My favourite... Handel Concerti Grossi Op. 6. Rob shares his favourite Baroque masterpieces from Handel's Twelve Grand Concertos. The line up features performances of these energetic concertos by the Academy of Ancient Music directed by Andrew Manze, Concentus Musicus Wien and Nikolaus Harnoncourt, Il Giardino Armonico under Giovanni Antonini and Thurston Dart conducting the Boyd Neel Orchestra. 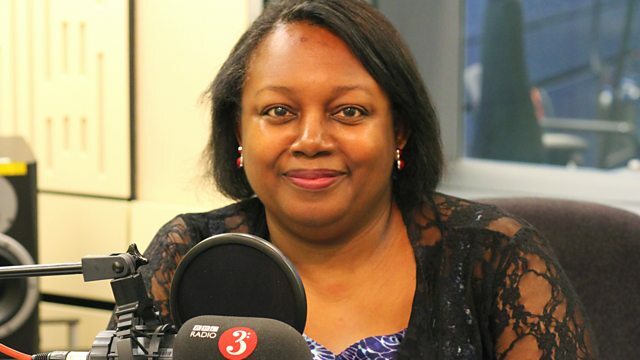 Rob's guest is the author Malorie Blackman. Malorie has written over sixty books for children and young readers and was the Children's Laureate from 2013 to 2015. Her books include Pig-Heart Boy, which was turned into a BAFTA-winning television series, Cloud Busting, and the critically acclaimed Noughts and Crosses series. Malorie was honoured with the Eleanor Farjeon Award in recognition of her contribution to children's books, and has also received an OBE for her services to children's literature. Malorie will be sharing a selection of her favourite classical music, including works by the 19th century composer Samuel Coleridge Taylor, and Florence Price, the first African-American woman to have a composition performed by a major symphony orchestra. Rob explores the Modern period with Bartok's Music for Strings, Percussion and Celesta, a score that reignited a fascination with spatially separated musicians. Rob's Artist of the Week is the Suk Trio. Throughout the week Rob delves into the archives of this internationally renowned piano trio, sharing recordings including Mendelssohn's Piano Trio in D Minor Op. 49, Dvorak's Piano Trio No.3 in F minor, Op.65 and Brahms's Piano Trio No.1 in B major, Op.8. Orchestra: Academy of Ancient Music. Director: Andrew Manze. Ensemble: Westra Aros Pijpare. Ensemble: Bourrasque Ensemble. Conductor: Bertil Färnlöf. Orchestra: Minnesota Orchestra. Conductor: Antal Doráti. Choir: Ensemble La Sestina. Director: Adriano Giardina. Singer: Elīna Garanča. Choir: Coro Filarmonico del Regio di Torino. Orchestra: Orchestra Sinfonica Nazionale della RAI. Conductor: Karel Mark Chichon. Elina Garanca - Habanera: Orchestra Sinfonica Nazionale della Rai: Karel Mark Ch. Singer: Elīna Garanča. Singer: Cristina Antoaneta Pasaroiu. Singer: Giuseppina Bridelli. Orchestra: Orchestra Sinfonica Nazionale della RAI. Conductor: Karel Mark Chichon. Performer: Josef Suk. Performer: Josef Hála. Orchestra: BBC National Orchestra of Wales. Conductor: Rumon Gamba.